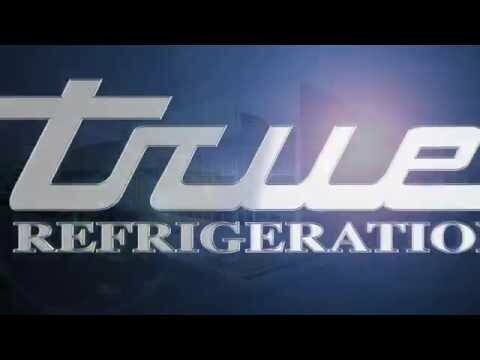 True is the world"s number one manufacturer of Glass Door Merchandisers. 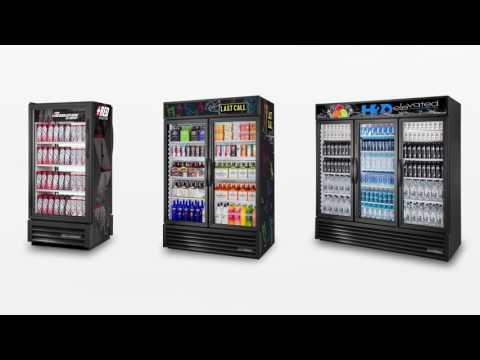 Designed for convenient access and fast service, the True GDM-23-HCTSL01 Black One Section Glass Door Refrigerated Merchandiser brilliantly displays packaged food and beverages. The high capacity, factory balanced refrigeration system of this Glass Door merchandiser holds temperature at 33°F to 38°F (.5°C to 3.3°C) for best food or beverage preservation. The entire cabinet structure and doors are foamed-in-place using Ecomate. Ecomate is a high density polyurethane insulation that has zero ozone depletion potential (ODP) and zero global warming potential (GWP). The sides of the unit are a non-peel or chip black laminated vinyl that is both durable and permanent. The cabinet has an attractive NSF approved interior white aluminum liner, 300 series stainless steel floor, and covered corners. The (1) glass hinged door has a positive self-sealing close to provide a tight seal. There is a lifetime guarantee on the door hinges and torsion type closure system. The door is made of energy efficient double pane thermal insulated glass frame and is fitted with a 12 inch long extruded handle, and removable one piece magnetic gaskets. Safety shielded LED interior lighting provides additional lighting throughout the 23 cubic feet cabinet. The cabinet is also fitted with a convenient clean-out drain built into the cabinet floor. The (4) heavy duty PVC coated shelves are adjustable at ½ inch increments for your display needs. 1/3 HP, 115v/60/1, 5.4 amps, 9 foot cord, NEMA 5-15P, cULus, CSA, CE, NSF, Energy Star, 23 Cubic feet. MADE IN USA.